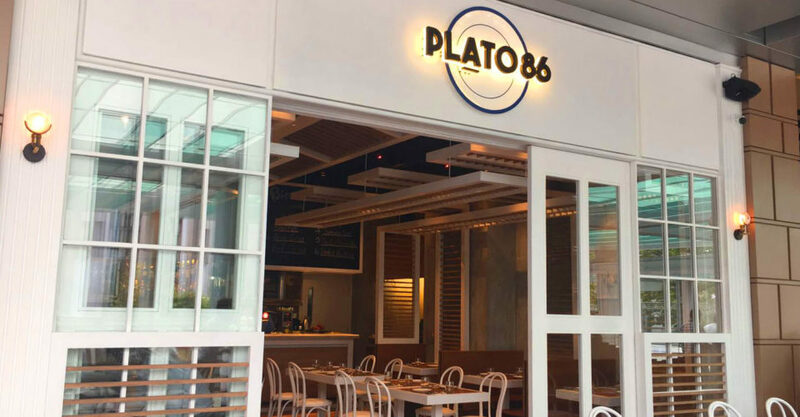 Tapas with a Twist: After several years of quiet while he focused on his television show projects, “Demon Chef” Alvin Leung is back with two new restaurants this fall — one of which is his first Spanish venture, tapas restaurant Plato 86. Look & Feel: Joining the bevy of F&B establishments on elevated terrace Brim 28, Plato 86 is casual alfresco, with plenty of white and light woods. Tables mostly seat from two to four, so expect to share your tapas among small groups. On the Menu: Well-known for putting innovative twists on traditional fare, Leung brings his imaginative vision to Plato 86’s menu, presenting dishes such as red prawn paella with truffle, whole suckling pig, and various other seafoods and meats in sauces like salsa verde and sherry reduction. Meet the Chef: Celebrity chef Alvin Leung made a name for himself with his three-Michelin-starred, modern Chinese concept Bo Innovation, which also has iterations in London and Shanghai. Great For: Shared plates over glasses of wine and good company. FYI: Happy hour is a generous 3-8pm.